Welcome to the website of the State Emergency Service Volunteers Association of Western Australia Incorporated (SESVA). The SESVA was formed in the late 1980’s with the objective of providing a focus for representing the views of SES Volunteers on issues which affect them. The SESVA has developed the ability to strongly voice the opinion of the volunteers where, when necessary, to the benefit of all the Volunteers of the SES, where the action of a single Volunteer or small group would not be as effective. The SESVA represents SES volunteers on a number of committees and working groups and has regular meetings with DFES. SESVA role is to represent the views of SES Volunteers to all levels of Government, DFES and other agencies on all matters affecting SES volunteers and the way in which we serve our communities. The Management Committee is the deliberative body in the Association with powers to make and direct policy, make, amend, or rescind the Constitution, and generally to take such actions as it considers necessary for the furtherance of the Association and its objects. The general management of the affairs of the Association is vested in the Management Committee. "There shall be an Executive Council (Executive), consisting of the President, Vice President, Secretary and Treasurer. The Executive shall take care of the day to day affairs of the Association, and may authorise payments on behalf of the Association only in accordance with the Business Rules of the Association." You can also view Archived News Items going back to 2010 and Archived Newsletters going back to 2017. 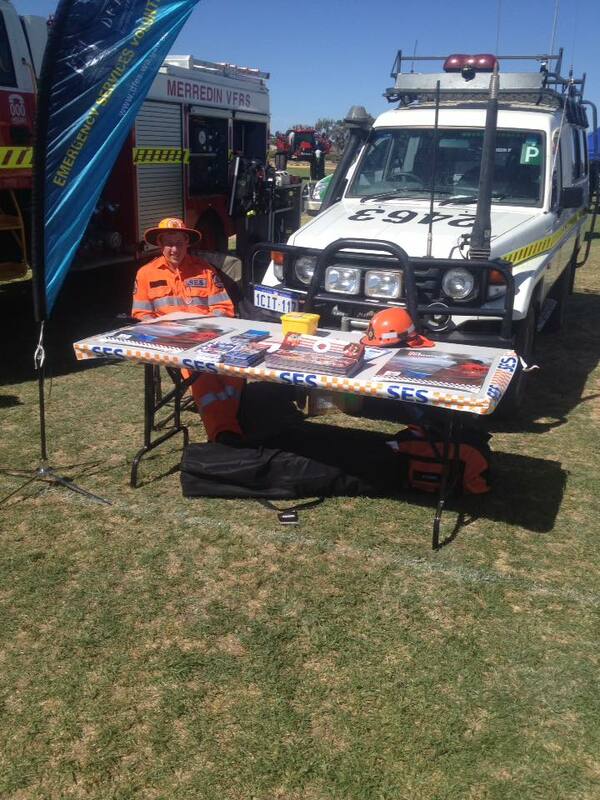 Been a busy few months for the Merredin SES unit, we have been out and about promoting our unit to recruit new members and raise money for some much needed equipment. 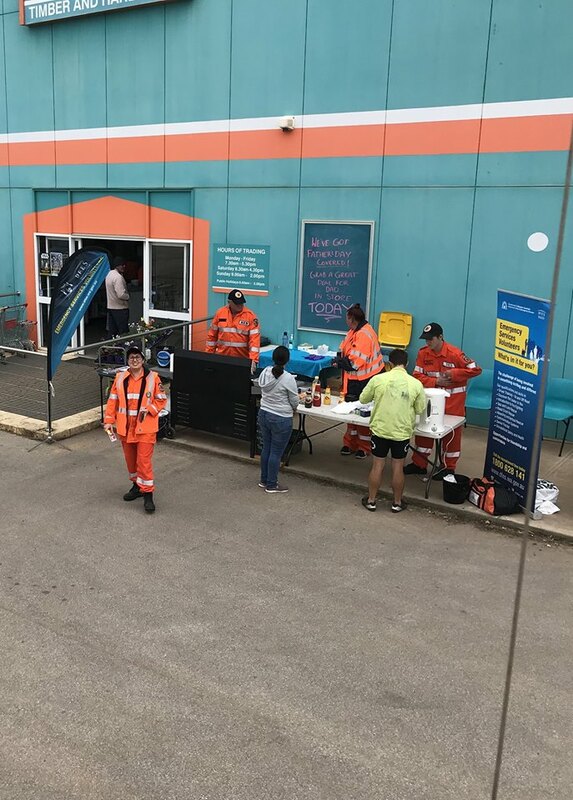 We held a stall and a raffle (all items were donated by local business's ) at the Merredin Gala night, stall at the 'Beyond Blue" held at Two Dogs Merredin, a stall at the Merredin show and a sausage sizzle at Two Dogs Merredin who kindly provided/donated all the food. We now have 3 new members and raised enough money to purchase Tom Tom's for the vehicles, camel packs for the members, gazebo for shade when we have a stall, DVD player for training day's (DVD's) and camp chairs for when we do land search so members can now sit comfortable and enjoy there lunch lol. We also took out 2nd prize in the survey with UWA and received a $200 Bunnings voucher which enabled us to purchase a pressure cleaner to keep our vehicles clean lol. All in all it has been very successful and rewarding to promote our unit. A big thanks to all members who have helped.